Sense International (SI) is a disability focussed non-governmental organisation, partnering with local organisations in Bangladesh, India, Kenya, Nepal, Peru, Romania, Tanzania, and Uganda. We are one of the world’s leading international organisations working for people with deafblindness/multi-sensory impairments (MSI) and their families. Our vision is of a world in which all people with deafblindness can be equal and active members of society. Inclusive Education: Over 100 children with deafblindness/MSI accessed inclusive education, which included demonstrating the model of teaching assistants in mainstream classrooms to enable and improve the quality of school inclusion for children with deafblindness. Community-Based Education: Together with Tanzania Institute of Education developed a curriculum that is tailored for home-based education for children with deafblindness/MSI. Early Intervention: A 3-year programme demonstrating screening and early intervention services to infants, ensuring children with deafblindness/MSI get the best possible start in life. Livelihoods: supported 18 young people with deafblindness/MSI to engage in livelihood activities, supported parents to advocate for the rights of people with deafblindness/MSI and access government social protection schemes. To scope funding opportunities for SI Tanzania. We are considering employing a fundraiser in Dar es Salaam and want to know what opportunities there are to win funds in Tanzania, what approach we should take and the likely return on investment. To research fundraising opportunities, document findings and provide an overview of opportunities for funding SI Tanzania’s work. To develop a prioritised and detailed list of potential funding opportunities. Make recommendations on approach and strategy taking account of the need for unrestricted as well as restricted funds. Advise on the likely success were a fundraiser to be appointed and provide them with the means to hit the ground running when they start in the role. Recommendations on approach and strategy, including an informed overview of how much it should be possible for SI Tanzania to raise in a year, with an explanation of the likely return on investment, and what support would be needed from Sense International UK or elsewhere to achieve this. Ahead of starting the work the consultant would have a detailed briefing from the SI Tanzania team in Dar es Salaam in person or by skype covering their previous fundraising experience. A fundraising scoping document for East Africa that had been conducted in 2014 will be provided to the consultant, to be used as a base for this study. A draft of the scoping document should be provided to SI Tanzania and SI UK. The consultant should build in time to collect and address feedback before submitting a final document. The final report must be completed by 10th June 2019. Previous experience in researching funding and developing funding strategies for non-governmental organisations (NGOs) within East Africa with a wide network of contacts. Proven experience in securing funds for NGOs preferably within the disability, education or health sector. 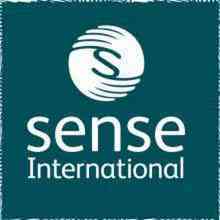 Appreciation of Sense International’s values and approach. Availability within the time period and the ability to deliver high-quality work to schedule. If you are interested in applying to undertake the scoping project, we look forward to hearing from you and receiving your Expression of Interest. Please, clearly label the application ‘Expression of Interest’ in the e-mail subject heading. An indication of your fee expectation (based on your day rate and an estimation of the number of days needed). Please ensure that you cover all costs within your proposal (e.g. including any travel, expenses etc). The consultant will be responsible for their own tax and insurance liabilities. Please note that fees, including payment terms, will be agreed with the consultant selected. The deadline for applications is 29th April 2019 at 5pm. We will respond to applicants with whom we want to talk further by 03rd May 2019. Interviews would be held week commencing 06th May 2019.